Archangel Metatron connects with a powerful message and uplifting frequency to assist you in integrating your soul light into your life to a new level and degree. Listen to this angel message with Archangel Metatron as an .MP3, watch as a video on YouTube or read the written transcription. Relax, breathe, and listen to tune into this powerful message and healing frequency from Archangel Metatron, and to integrate your soul light into your physical being and Earth. Beloved, indeed, I am here. I am Archangel Metatron and I greet you in a vortex of unconditional love and light. Let your mind be still, let your heart be enlivened, awakened, and open. And as you open your heart and experience this connection with your subtle senses, releasing your mind, releasing your conscious thought, and simply tuning in to the love that is indeed present in this moment. Turn inward and look within. We angels are on hand to assist you in integrating a new level, in taking a new step forward on your path, and in allowing more of your true, authentic, bright, shining soul light to merge into the physical. In this now, your spiritual soul light channeled down into physical form. Through awakening your powers of intuition, compassion, and to consciously create blessings in your life, move you forward on your soul’s ultimate path of becoming. You are here in this now, you are learning through your lessons in the physical realm, and you walk the path of ever increasing your light, bringing more and more of your spiritual light into physical form. And so now, open your heart and look inward, and allow this bright light to illuminate in you any fear, any darkness, any lingering doubt that remains, that keeps you from progress, that keeps you in fear and doubt, afraid to merge with love and with your full light. These fears no longer serve, they are outdated and so we encourage you to look within as your awareness is now drawn unto those areas in which density, in which fear still dwells. Breathe and open your heart and with a quiet mind, connected rather to your consciousness than your personality or ego, imagine now that you are lifting up in this light that is all around. Angels wings of light lift you into the light, into connection with the angelic realms, into presence with divine source. As you lift let all that no longer serves be lifted away from your being and into the light. Lift, and now present in consciousness you can look down, from the perspective of being outside of your physical body. Observe. Observe yourself in your state in this very moment. Scan your body from head to toe with your conscious mind. And as you do, ask what blockages remain? Where is fear or anxiety or doubt still held within? Where are painful memories of past still held at cellular level? Now take another step back into that conscious lens, the conscious perspective of viewing yourself from your close proximity with angels and with the angelic realm. Your consciousness is lifted and nurtured and loved so that you are able to look into yourself deeply, to reflect upon yourself, to notice your past fears and challenges and not be affected by them in this now, no. Simply observe. Now scan your physical body and notice where, notice the physical location, where dense, blocked energy remains, where fear remains. And now you can ask yourself, quiet your mind and open your heart to tune in, “What is this fear or blockage specifically tied to?” And from this place of reflection and non judgment, allow yourself to see. And whatever pain or fear or anxiety or sadness or doubt is present from your past experience, from this life or from another, tune into it and instead of burying it or turning away, simply allow yourself now to feel, feel the fear that comes up in you to be release. Feel the density or pain that no longer serves you when you allow yourself to re address this issue. When you allow it to come up into the surface, and to experience it in this now, to repeat the experience in a way with your conscious mind and then now you are able to release. Let it go. Like holding a balloon that is full of hot air out in front of you and you let go and automatically it releases, it lifts up and out of your being and releases into the light. Let this past density emerge, let yourself address it, acknowledge, and release into the light. Now return your focus within, open your heart, and now imagine that above your head still in the realm of the heavens is a glowing light, an angelic form, the full light of your soul light and your soul spirit. And so now, having released, having opened your heart and refocused your conscious awareness within, think or say, “Yes, I invite my full soul light to now download into my spiritual being.” We draw your attention unto the concept of downloading. As effortless as it can be to click download on something on your computer and the rest falls into place, so too now you’re simply thinking, “Yes, I now download my full soul light into my being.” From here, simply relax, let yourself enter into the sacred space of meditation, let yourself go in, visualizing whatever inner sacred space is most appealing to you. This inner beauty, this inner light, focus on this and trust that as you do, the soul download of your soul light and power clicks into your being, unites with your being. Now take in a breath of air and as you do, imagine that you are breathing in the incredible light that is all around you and that this light continues in the healing you are offered now. Breathe in the light, and let it wash away all fear or darkness remaining in you. This time now indeed, is powerful for illuminating those things in you that are present but that do not serve. And so breathe in and the light from the angels, the light from the divine, the light that is all around you enters in. Breathe it in. Let light fill your spinal column. Let your entire being be illuminated with the light. This light opens the door and welcomes your soul light, your soul power in. And now as you breathe out, as you exhale, you are able to let go and to release. With your breath out, push out, let go of, release fear, anxiety, and density that has remained in you but is no longer needed and no longer serves. Let it go. 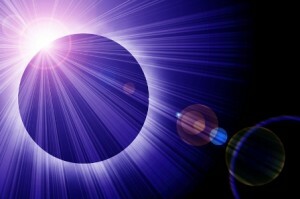 Now is the time, your soul light is ready to fully shine in the physical continuing the process forward. For, you see, there is always a forward. There is always progression. There is unending expansion available for you here in the physical, so your thoughts of, “I’ve already done this.” Or, “I have already done my spiritual work. I have already released past densities and pain,” may, indeed, be your ego desiring you to stay the same, stay where you are. But, you see, there is always in this realm in which you live someone who has gone further, someone who has integrated more light. And so simply acknowledging this, honoring that you are exactly where you are meant to be on your path right now. But when you let the light in, the light that is present on the earth, the light of your soul, you can take the reigns and choose to progress forward at an accelerated rate. When you quiet your mind and open your heart and think, “Yes, angels come in. Angels lift me in your wings of love. Assist me in downloading more of my spiritual talents and light, my soul light, into physical form. Lift up” you are able to take a quantum leap, right now… in this very moment. Imagine that your physical body and consciousness and mind are being lifted up now, out of the physical world. And for a moment now into direct presence with source, with light, and with the realm of angels. This place in which the full light of your soul does dwell. And so in this place, let the merge happen now, the final merge. Any more light that you can safely unite with and hold in the physical now, let it come into your being, your light coming in. And if this increased light now brings up an emotion, a pain, a fear, density, face it, feel it, and now release it. And now take in one more breath of fresh air, of light that’s all around, of divine love. Let it illuminate you and now consciously imagine that all your light, newly integrated, and that which you have already been carrying, imagine that it is beginning to flow down, grounding into the earth. Your seven chakras of your physical body united in one light now flows down through the bottom of your feet and into the core of earth, grounding your soul light into the earth. For the benefit of you and the benefit of many, ground this light into earth and notice that here the light you find, the light you have grounded, are not separate from you. They are one. Feel this oneness now for a moment. Your oneness with the light, your oneness with your soul, with Mother Earth, and with all that is, feel this and now the light begins, once more, to flow up. Let it activate your earth chakra, let it activate your root, solar, sacral, solar plexus, heart, throat, third eye, crown, soul star. Open. Let your light shine, be your authentic truth. I, Archangel Metatron, say to you now you are the light, you are the light of your soul. You have always been this light. Acknowledge it, honor it, and ground it into your being and into the earth now. As you do this, release that which no longer serves. Be willing to step outside of your body and consciousness and to reflect upon where you are now, for it is this very reflection that gives you the jump start to move forward, to change those areas needing changing, to integrate the new light that is available and that you are ready to bring to birth into being. Light is beautiful and wonderful, however, without being filtered through a physical being and through consciousness, it is not focused. Your soul light has unlimited power and ability, what do you choose to create with it? What do you choose to form in your physical world? You are the creator of your experience, you are empowered now to manifest the life of your dreams filled with blessings of divine design. Reflect on where you are and where you wish to be. Intend, plant seeds of where you are going. Release the doubt and fear that holds you back and embark. Your soul light is integrated into your being, grounded into physical form. It is available for you to create with and manifest blessings in physical reality. This is so, you are the light. Let your light shine and let yourself be free. I, Archangel Metatron, now leave you with my blessing. I am complete and you are so dearly loved. Goodbye for now. Still am dizzy. Thank you, thank you, thank you. Angels so know what we need. For me, help with integrating of higher self into my body.